More than a dozen routes have been added to the City of York Council's gritting network as temperatures plummet and a severe frost is forecast by the Met Office. 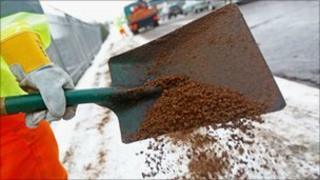 Council officials said 19 "secondary" routes had been earmarked for visits from gritting lorries. And 50, one-tonne salt bags have been placed around the city for residents and businesses to access. Some 270 salt bins have been filled by the side of highways and pavements.